This relationship can take on parental overtones, as Sun in Capricorn makes the rules and Moon in Cancer supplies the nurturing. These opposite signs will balance each other out, as they approach family and security from complementary angles. Sun in Capricorn is all about duty and responsibility. Hard work and taking responsibility for his relationship come naturally to this Saturn-ruled sign. Once he commits to a partner, she can be sure that he’ll be there as promised. Sun in Capricorn needs a lover who balances out his authority with a softer touch. Too much pragmatism can make Capricorn a dull boy, and it’s easy for him to ignore the emotional side of his relationship. Moon in Cancer needs to nurture and be nurtured. The archetypes of Mother and Child are strong, and she can shift from smothering to needy depending on the circumstances and her maturity level. Moon in Cancer feels safest when she is needed by her lover, which means she will take care of him with food, hugs and empathetic attention to his problems. Her Shadow side emerges when she feels rejected; she becomes the Devouring Mother/Child, demanding security and reassurance. Sun in Capricorn will take care of the external security, while Cancer looks after the emotional content and internal security. He’ll give her structure, and she’ll give him a warm, safe home to return to. These two are a natural fit, but since they represent polarities, their relationship can become unbalanced if they stray too far down the parent/child path. 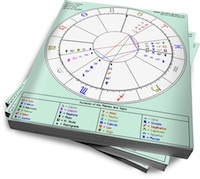 If Capricorn is rigid, and Moon in Cancer is not accustomed to taking responsibility for her own needs, he may end up dominating while she depends on his strength. While this may suit some couples, it’s worth remembering that the extreme expression of each sign’s energy is where their Shadows live.